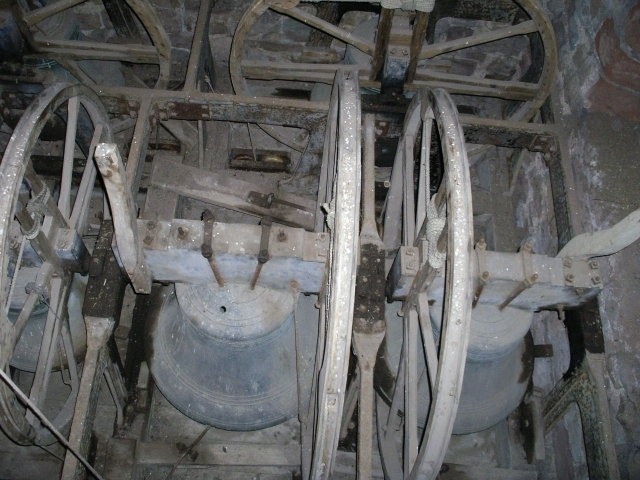 St. John the Baptist, Whitbourne, has a ring of six bells (with a tenor of 11.75 cwt. ), plus a Sanctus bell. 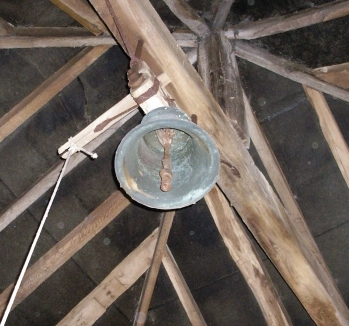 The present cast iron frame, installed in 1908, lasted a hundred years – a crack was found in January 2009, resulting in the bells being pronounced dangerous to ring. The crack has now been repaired, but some doubt remains about the condition of the beams below the frame. We do ring, but only occasionally. The bells fit snugly into the tower - just. The bell-côte in which the Sanctus bell used to live was demolished in 1865. She now hangs at the top of the tower. Enthusiasm for bell ringing in any parish waxes and wanes. We had a good band at the turn of the century (18-1900); indeed, in 1912 they were ringing in competitions. 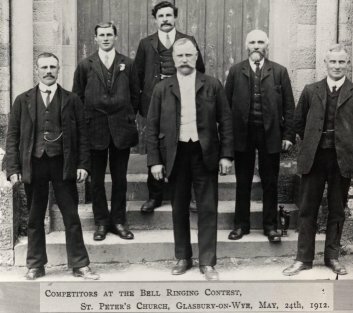 Three of the ringers in the photograph began ringing in 1908, one in 1891 and R.J. Caswell, the Captain, began in 1883. He was still ringing fifty-one years later on his 70th birthday! This was probably in 1934. 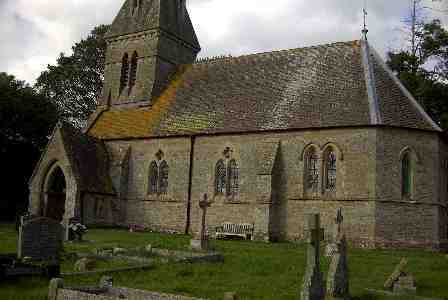 There is no record of bell-ringing then until the early 1980s, when a new band was formed. Three of those are still ringing (or would be if the frame was not cracked!). However, the long draught (length of rope between bell and ringer) and the rather worn plain bearings meant that, in spite of a rope guide having been installed, they were very difficult for beginners, and several aspiring ringers were put off. 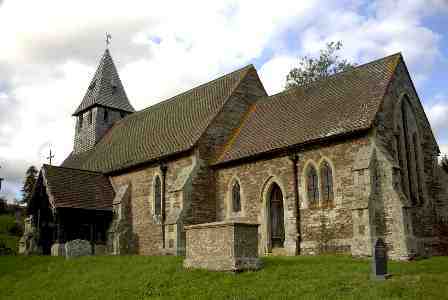 Now, with a very good training programme at nearby Bromyard, we have two ‘newcomers’ ringing at other towers. Once a bell-ringer - always a bell-ringer. Look at the same people in the next photo and see how they have aged! After ringing the quarter-peal there was supper at the Rectory, and many kind words were spoken. 1453: Richard Shukwey, the Bishop’s bailiff at Whitbourne, gave a bequest of “100 shillings for the changing or matching one bell”. In 1717 the Churchwardens record their expenses and work relating to the bells in that year. John Wheeler sensibly begins “pd for drink at the pulling down of the bells 00.10.00.” A quite considerably sum, considering the cost of horse hire for two journeys to Gloucester was only 4s. Hauling the bells to Worcester and back again was £2.8s, an extra 52 lbs of iron for the bells was £14.13s. Henry Alcott’s account began on June 26th, 1717, with journey and expenses to Gloucester, a payment to the water bailiff as the bells travelled from Worcester by the River Severn. On August 6th, Mr. Rudhall was paid £46.1s. In September, Richard Clark received £2.11s. for carrying the bells and Richard Brown £12 for hanging them in the church. The total cost to the parish for the new ring of bells was nearly £97. 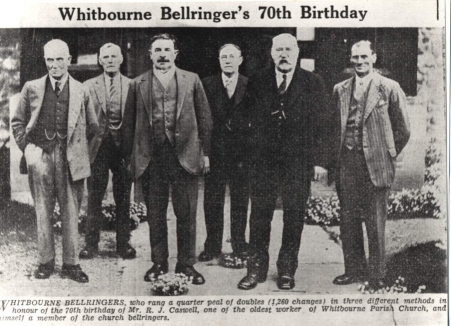 9th June 1730: It was agreed at a Parish meeting legally called and held that ten shillings shall be allowed to the ringers for the whole year (if they ring when desired and no more). 1908: New cast-iron frame installed. Recent tree-ring dating of the beams on which the frame rests shows that the oldest is from a tree felled after 1414. One was 1471 – 96. The others are more recent, although five, which match each other, do not match any of the reference data. One was dated at 1717, matching the recasting of that year. Fundraising for the Bell Restoration Fund began in 2010. By June 2012 we had raised around £13,000. The frame has been mended - the next job is to install an electronic chiming mechanism. We are now fund-raising for the final stages, including building in a ringing gallery, to replace the one demolished in 1865, and refurbishment of the bells themselves. Donations may be sent to the Rector, Rev’d. David Howell, at The Rectory, Whitbourne, WR6 5RP, or the Tower Captain, Brenda Allan, Gaines Lodge, Whitbourne WR6 5RB. Thank you. This page last updated for Brenda Allan on 10th January 2014 by John Bland.